Just a reminder that Outliers: The Shape of Things to Come is available for free download. Enjoy our artwork and stories! I have a new job lined up on Tuesday of next week, but the next four days are reserved for final edits of five novellas, a host of flash, finishing a short story manuscript, watching the last episodes of Armored Trooper Votoms, morning exercise, completing American Psycho, and just maybe walking the dog too. Yes. We just published something and now we’re running around to prepare something else for release. What we started is far from finished. Welcome to life in the fast lane. This blog is probably going on low output for a while… and when it does surface it’ll probably be publishing-business related. Stayed tuned and read on. Today, the Washington Post ranked the number of on-screen kills actors have had in action movies. They put Arnold Schwarzenegger at number one. I wish to issue a correction to this. The number one on-screen killer was Slim Pickens who played Major Kong of Dr. Strangelove. At the end of said movie, he rode a nuclear bomb that struck a Russian base, unintentionally setting off a nuclear deterrent weapon that wiped out the planet and all the inhabitants. Books: My bread and butter. As of late, I’m half way through A Feast of Crows. I understand people’s dissatisfaction with the heavy novel, given that almost all the main characters from the previous three installments get no chapters of their own until the next book. Barely Jon Snow, no Tyrion Lannister and no Daenerys Targaryen. Instead, we get an assortment of supporting characters with their own chapters. Samwell Tarly, Brienne of Tarth, and a handful of characters in Dorne to speak of events down there. Cersei gets her own chapters, finally gives some insight into her attitude. One has to be willing to accept some slow down of the story in order to enjoy a more robust tale I suppose. I keep trying to slow down since the sixth book is going to be a while, but I’ll probably crumble and just read A Dance with Dragons after this. I’ve also been picking up and putting down Thus Spake Zarathustra. The reading itself is slow, but the resulting discussions with the book’s owner about Nietzche’s philosophy are stimulating and interesting. Television: I’ve been slacking on my television. Between the ending of Breaking Bad and the wait for the new seasons of Mad Men and The Americans, I have a period of time to try and catch up on The Walking Dead or polish off Battlestar Galactica or The Wire. I should probably get on with that. If there was ever a reason to be disappointed with reality television, it has to be the direction that Top Chef has gone. The winner of the New Orleans season was made to appear as a some what conniving, foul tempered fellow whom the show seemed ready to dump several times. And the fact that he was instead the winner was nothing less than aggravating. I feel the show has let something wrong guide it. Even if ‘reality’ television can’t convince you it isn’t fake, it should be entertaining. As of late, Top Chef has failed to do both. I have however, gotten back into watching Golgo 13. The strange thing about this show is that it’s effectively nothing but episodic flash fiction starring a sniper protagonist. The plus side is that the show is easy to pick up and put down. You miss nothing, there is no ongoing story or events that change anything. Every episode is open and close, making it great for working out too. The downside is that the writers struggle to make the main character interesting. Thus, every two episodes are crap but the third one often has some great ideas in it. Movies: I saw American Hustle a few weeks ago. I enjoyed it, but I get how people might not have liked it. Some felt the story was too predictable (it was based on true events). Others were probably ill at ease with the story’s themes of infidelity. But I was very entertained by it. Aside from that, I saw Danny Boyle’s Trance and Prisoners with Jake Gyllenhaal. I was disappointed with the former. Boyle tried too hard to create Inception and while it wasn’t bad, it was filled with needless sexuality and a little over the top with the violence. Prisoners was an all around good movie but just didn’t ring my bells. I can’t complain about it- it was very well done, just not to my taste for some reason. Looking forward to the new Robocop. Critics be damned. Games: Still chugging through Red Dead Redemption. Getting lost in the side quests and challenges has slowed me up, so I end up doing one or two tasks, then doing regular story missions. So far, I’m sixty percent through the game. Big thing of note is that I finished The Banner Saga: Part 1 for the second time. I kept failing on the last battle, so I decided to go ahead and reduce the difficulty to Easy from Hard and just wrap up the game, collecting a couple of achievements but not everything I wanted. A play through takes about 12 hours, so I can try it a couple of times, then replay it when part 2 nearly comes out. The thing about the game is that losing a battle isn’t game over. It just grinds on, though you do get thoroughly punished for it. You get less renown (a character building currency), some side characters may die, and then there are injuries. Injury is interesting, as it decreases your characters strength drastically. It doesn’t just happen when you lose, but whenever a character is harmed badly or knocked out. Thus there are Pyrrhic victories, and when you start losing, it becomes increasingly harder to stop. I’ll replay the game on hard later, but I do need to totally rethink my strategies to be more forward thinking. Shameless sellout: For today only, The Black Wind’s Whispers and Marching Time have had a price cut to dirt cheap. Get it while it’s hot. I made a promise to myself that, as an editor, I would always send a personalized rejection email to people informing them why they didn’t make it. Sometimes it’s quality. Sometimes it’s circumstances beyond their control. But I’d always tell them why so they wouldn’t make the same mistakes if at all possible. At the moment, I’ve kept this promise. It’s painful for myself and the people who get rejected, but they have to know. I remember what the early parts were like, getting meaningless rejections. But I also know that as the number of submitters grows in future projects, I won’t be able to personalize every refused piece. As it stands, this promise has been put to the test. Already, the number of rejections are starting to climb and more are surely on their way. I’m sure sooner or later there’s going to be someone who has got to fight me on the decision. Thankfully it hasn’t happened yet. Most of the people I’ve dealt with have handled their rejections with professional integrity. The secret I’ve noticed is to always include a few good things to say about the work involved and try to be compassionate if honest. Point out what they’ve done well and where they need work. Tact takes energy and effort, but it sure beats making enemies. Well, it’s not something I hope to get good at… but can’t hurt. Some of my followers may have gotten a heads up about a post called “Feminine Independence and Revenge?” It’s not available because I wanted to put it up and easily bounce ideas and thoughts off of a few friends, then revert it to a draft stage. It’s a piece detailing a lot of anthropological and economic thought, correlated to the Drunken Ultimatum and dating stereotypes. It is not a rant or anger piece. If you received an email about it, I apologize. When I posted, I forgot about the alerts that sometimes go out to followers. It was a work in progress that needed more input to improve. A distant person amongst my circles of friends chose to take his life last week. In Greek mythology Ulysses, during his trip home, had to pass between the monsters Scylla and Charybdis. 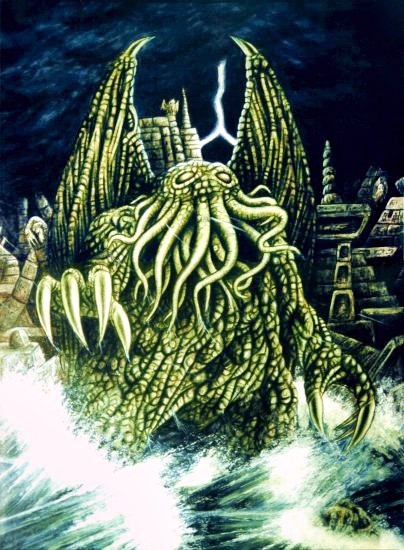 Scylla was a beast with six heads and twelve limbs, long tentacles that ended with hands. Her ravenous hunger led her to feast on sailors who passed by her island, six at a time. Opposite of her was Charybdis, a beast that was little more than a titanic mouth, whose thirst led her to swallow the sea three times a time. This created a whirlpool that would destroy both ships and crew entirely. While it’s easy to imagine Ulysses’ struggle to pass these beasts without arousing either, it’s less obvious to suspect an underlying metaphor for common human strife. You see, I’ve often felt that depression is just a result of impotent rage. Anger is a sign that something is wrong in our lives, but what can one do when they cannot change or cure the source of their fury? That impotence can be a nullifying sorrow, a true pit one cannot escape. And I’m left to wonder if maybe, all along, Scylla was the symbol of rage in that it can hurt one and those around us, but is less likely to destroy us than Charybdis. 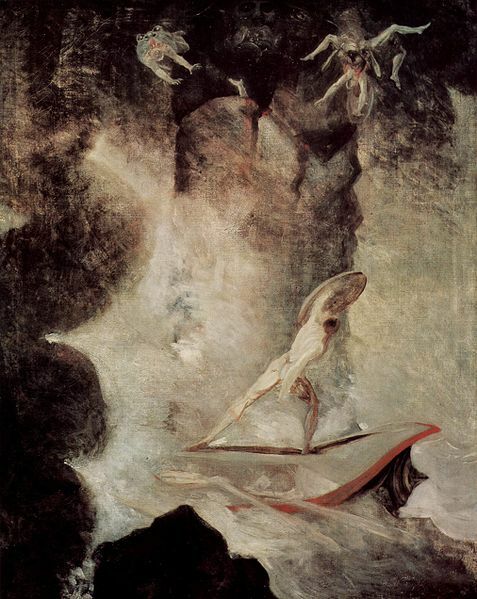 In the end of the tale, Ulysses had no choice but to choose Scylla over Charybdis. He had tried to sail the narrow line through both but failed, and chose to risk six men than all of them. Perhaps all along, Ulysses fight was an internal one. Perhaps what might of really happened was Ulysses was encourage to fight his own men to release his anger than to succumb to self loathing in his failure to return home. Heroic tales have a tendency to make all struggles seem less mundane and more larger-than-life. A healthy human being tries their hardest neither to feel either depression or fury. It’s only in the former that I could see a person taking their own life, in that hole of insurmountable desires that cannot be met. But I fear… I fear that as a society, our aversion to anger may leave many with no outlets for a critical emotion that needs appropriate expression. With no outward direction, it will turn inward. If we do not turn towards Scylla, Charybdis will swallow us.